If you own Google’s Chromecast you’re now able to stream Google Play media content from the internet and mobile devices. It’s all thanks to the Google Cast extension for the Chrome web browser. 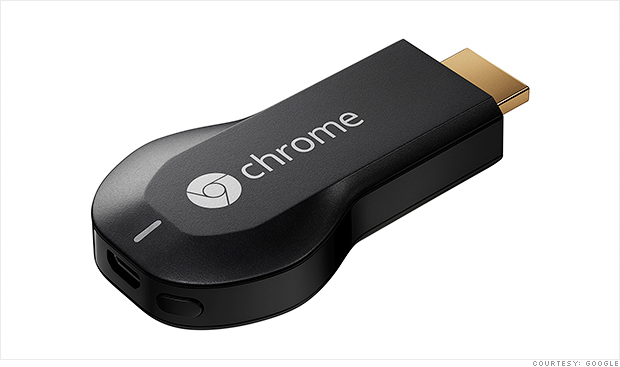 Google Chromecast is a dongle that simply plugs into your TV and introduces streaming services from some heavy hitters in media such as YouTube and Netflix. It was released as an alternative for AirPlay from Apple, but never really had the chops to be a viable competitor until now. With YouTube, the Play store, Google TV, Android OS, Chrome, etc and so on, you could say that Google’s arsenal is complete with something to tie all of that together. In addition to YouTube, Netflix, and HBO Go more content providers have jumped on with Chromecast such as Redbull.TV, Vevo, Songza, BeyondPod, Viki, Revision 3, and Post TV. It’s all about what content providers you can get on your device that actually makes a Smart TV dongle or set top box worth the investment. Google Glass Discrimination? Technophobia? Or An Issue of Privacy?